Affiliate programs are one of the most popular ways for people to make money online. But because most affiliate programs are operated by American companies, it can be difficult for non-Americans to get paid. Some affiliate programs send out (paper) checks, but cashing these outside the United States can incur some hefty fees. And some affiliate programs require you to earn $100 or more before they will send you a check. What can you do if you don’t have a US bank account? 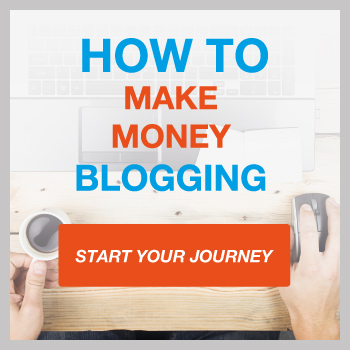 Well, it depends on the payout options offered by your affiliate program. Regrettably, some restrict their affiliate programs to residents of the United States (or the UK) with a bank account in that country that accepts direct transfers. But the good news is that most affiliate programs offer payouts via online money transfer services. 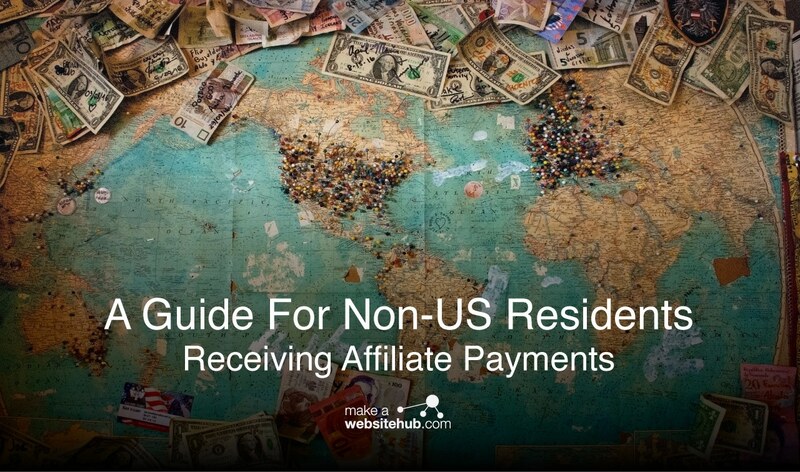 Below is our round-up of some of the best ways that non-US residents can use to get receive affiliate program payments. Payoneer is one of the most popular money transfer services available for people around the world. If you’re getting paid by a company based in the US or EU, they can send “direct deposits” to your Payoneer account. In the US, this system is called “ACH” while in the EU it’s referred to as a “SEPA transfer.” Either way, it will look to the company as if they’re sending money to a bank account that you own because your Payoneer account will include all the routing and other numbers needed to perform a direct bank transfer. Note: Due to regulations in China, payments made in regular RMB (CNY) will be credited and held in CNH (offshore yuan) in your Payoneer account. You can then convert it to regular yuan (CNH) if you want to spend the money in mainland China. CNY converts to CNH at a 1:1 ratio. You can set up a Payoneer account and connect it to your local bank account in 150 different countries (and currencies). After you get paid, you can send money to your local bank account (converting to the local currency, where applicable) for a fee or use a Payoneer card to withdraw cash from an ATM (cash point) just about anywhere in the world. The Payoneer cards can also be used in stores or online to make purchases directly. To open an account, you’ll need to visit the Payoneer website and complete an application. Start by filling out your personal details. Payoneer will then send you a (paper) letter in the mail with an activation code. Once you use the code to activate your Payoneer account, you can withdraw money from your Payoneer account. Just about anyone in any country can open a Payoneer account. 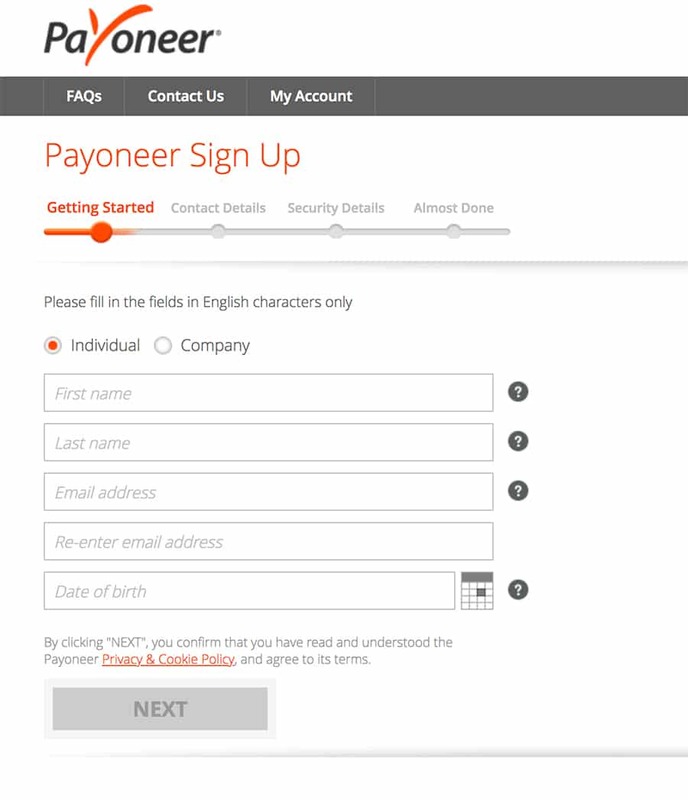 Login in to your Payoneer account, and then go to “Receive”. Choose the option of either US or EU Payment Service. Once you’ve done this you then need to open your affiliate accounts payment settings and then choose “Direct Deposit” and enter the Payoneer payment information. Popular affiliate programs that can be used in conjunction with direct deposits into a Payoneer account include Amazon’s associate program, Clickbank, Walmart, Amazon, Target, and Shareasale. Remember, if you’re based outside of the US, then you won’t be about to get direct deposits from Amazon.com. You can only be paid via a check or vouchers. Transferwise also lets you set up a “borderless” bank account that you can set up for free that holds money in US dollars, Australian dollars, Euros, or British pounds. Transferwise also issues Mastercard cards that can be used to withdraw money from ATMs around the world or to make purchases directly. Similar to Payoneer, Transferwise also lets you receive direct deposit payments (international SWIFT system) as if you had a (regular) bank account. At the moment, however, you can only receive direct deposits (via SWIFT) in Euros. According to their website, they’re working on implementing the ability to receive direct deposits in British pounds, American dollars, and Australian dollars, this is not currently available. You can, however, receive payments in British pounds made via the Faster Payments scheme, including BACS and CHAPS payments. You just can’t get a direct deposit sent via SWIFT. Effectively, the company (or person) sending you money into your British pound Transferwise account must be sending the money from a bank account in the UK. Additionally, a Transferwise account in American dollars can receive direct deposits as long as it’s from a company with an American bank account (using the ACH system). You can also receive money into your American dollar account via SWIFT as long as it’s from a select list of countries (primarily the EU plus Singapore, Philippines, Japan, China, and the UAE). Australian Transferwise accounts can receive local Australian bank transfers (using BSB) but not SWIFT payments. You cannot, however, receive money from either an Australian superannuation fund or a self-managed superannuation fund into your Transferwise account. In summary, you’ll need to activate an American dollar account for payments from a US-based affiliate program, a British pound account for a UK-based affiliate program, and an Australian dollar account for payments from an Australia-based affiliate program. For everything else, you’ll to use the Euro account. But the Transferwise “borderless” account gives you access to all five of these currency types simultaneously and the ability to receive money in them. You’ll just need to provide corresponding bank/routing information for each currency type for each affiliate program. To transfer money from your Transferwise account to a local bank account, you can send it via a wire transfer. Transferwise charges currency-specific fees to do this which you can see at the link. Affiliate programs that can be used in conjunction with direct deposits into a Transferwise account include Amazon’s associate program, Clickbank, Walmart, Target, and Shareasale. Amazon affiliate programs in Europe offer payouts in gift certificates. They also have the option to receive a check made out in either British pounds or Euros. Amazon’s Brazilian affiliate program offers direct deposits into Brazilian bank accounts (in the local currency) as do the Amazon programs in Mexico, Australia, Japan, India, and China. If you live in one of these countries/areas, you might be better off setting up a non-US Amazon affiliate account. Another option is to open a bank account locally that is denominated in U.S. dollars. If you’re receiving checks from Amazon or another affiliate program in US dollars, it’ll be easier and faster to deposit the checks if the money is going into a dollar-denominated account. Skrill is another online money transfer service. It lets you receive money from international wire transfers that you can then send to your local bank account. But Skrill does not let you receive direct deposits sent via the ACH or SEPA systems, only international SWIFT payments. You can also open a personal US bank account even if you’re not a resident, although the process is neither simple nor easy. Usually, you’ll need a Social Security Number (SSN), but Bank of America and TD Bank allow you to open a bank account if you’re not a resident. However, you will need to open the account in person at a bank branch in a state which allows non-residents to open bank accounts (laws vary from state to state). You’ll also need an address in the United States where you can receive mail. In some cases, you may be able to get an ITIN or a tax number issued by the IRS for non-resident, non-citizens. With an ITIN number, you may be able to open a bank account in the United States quite easily although, again, you’ll likely need to do so in person. For more information about acquiring an ITIN, click here. The only other option for opening a bank account in the US (when you’re not a resident) is by incorporating a business in the United States and then opening a corporate bank account. When you incorporate a business in the USA, you’ll get an EIN, which works much like an SSN (only for companies) as it’s a tax number. To learn more about how to incorporate a business in the US, see here. Another option is to see if your local bank also operates in the United States. Banks such as CitiBank, ING, Barclays, and HSBC operate both in the United States as well as other countries. If they do, you can ask your local bank branch how to help you open a bank account at one of their US branches without having to be physically present in the United States. It’s also worth noting that some affiliate programs offer payment via PayPal. PayPal currently offers the ability to receive and send (received) money to a local bank account in more than 200 countries and regions. For non-US residents, your ability to receive payments from an affiliate program is restricted by the payout methods offered. If the affiliate program has the option to send you money via PayPal or another service like Skrill that operates in your country, you’re all set. But for affiliate programs that only pay out via direct deposits (sometimes called “direct debits”) and by check, your options are much more limited. Transferwise and Payoneer are the only two online money transfer services that function as “virtual” American bank accounts complete with all the routing numbers and other information needed to handle a domestic direct deposit (ACH in the United States). This allows non-US residents to receive money into what looks like an American bank account to Amazon and other American affiliate programs. 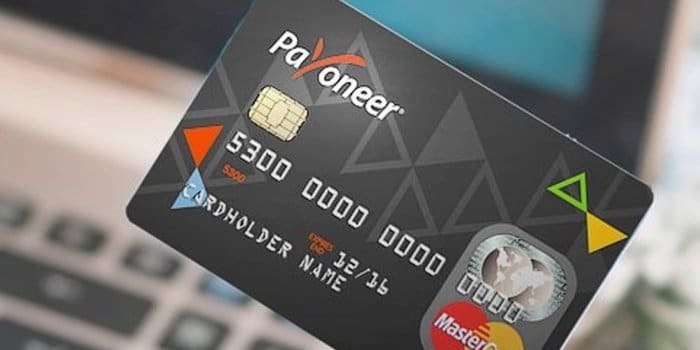 Aside from their fee structure and pricing, the main difference between Payoneer and Transferwise is that Transferwise offers a real bank account while Payoneer simply lets you receive payments that you can then use to load a card (for use in making purchases or ATM withdrawals) or to send a wire payment to your local bank (for a fee). At the moment, Payoneer and Transferwise are the only way to receive direct deposit payments into an American “bank account” if you don’t have one. Other options for non-US residents include cashing US dollar-denominated checks into a local bank account denominated in US dollars, opening a US bank account in person (in certain locations) using an ITIN, and opening a corporate US bank account using an EIN number after incorporating a business in the United States (online or in person). Otherwise, you’ll have to accept payments in gift certificates or pay for an international wire transfer, where applicable. Lastly, if you know someone whom you can trust who has an American SSN, you can ask them to open a bank account for you. Law firms also offer this service, but be aware that you’ll likely have to pay $2,000 or more to get started. With a law firm, you’ll simply be giving power-of-attorney to the law firm, so your access to the bank account will be protected. With a friend receiving money in their US bank account, you’ll have no control over the money, and the additional income in your friend’s name may have an adverse effect on their taxes.